Maestro Gary Bertini (1927-2005) was an Israeli conductor and composer of profound and diverse achievements. In Israel, he is remembered, among other things, as the founder of several leading ensembles – including Israel’s first professional choir Rinat, the Israel Chamber Ensemble (now the Israel Chamber Orchestra) and the New Israeli Opera; as the director of the Jerusalem Symphony Orchestra IBA; and as a leading performer of Israeli music. He did more than any other individual performer to commission original Israeli works, and to perform and record them both in Israel and abroad. Around the world, he is remembered as the music director of several major orchestras and opera houses (see details below), as a brilliant and enthusiastic advocate of contemporary music and a foremost exponent of Mahler; many critics regard his recorded cycle of the complete Mahler symphonies as the finest available. He was also a notable composer, especially for the Israeli theatre. Bertini was the son of the renowned poet and translator K. A. Bertini. He was born in Brichevo, Bessarabia (now Moldavia), on May 1, 1927, and began violin studies at the age of six. His adolescent years were overshadowed by the Holocaust. After the end of the Second World War, he began studying at the Milan Conservatoire (1946-7); shortly afterwards, he made “aliyah” to Eretz Israel. There he studied at the Music Teachers’ College in Tel Aviv (1949-50) as well as with the composer Mordecai Seter, with whom he developed a close friendship. From 1951-1954, he studied composition and conducting at the Conservatoire de Paris, as well as at the Sorbonne with Nadia Boulanger, Jacques Chailley, Arthur Honegger and Olivier Messiaen. After his return to Israel, he began to teach conducting at the Music Teachers’ College, Tel Aviv, and later at the Rubin Academy (now at Tel Aviv University) where he was appointed professor in 1975. His students include several prominent Israeli conductors. In 1955, he founded Rinat – the Israel Chamber Choir, which had an immediate and lasting effect on Israel’s musical culture. In a musical landscape dominated by amateur workers’ choirs, Rinat was the first choir to achieve, or even aspire to, professional standards. To the Israeli listening public, it presented the first chance to hear live performances of major choral repertoire – from the Renaissance to the 20th century – music beyond the grasp of amateur choirs. The choir also inspired Israeli composers to write demanding and ambitious choral works, secure in the knowledge that their works will receive high-quality, committed performances. Only one Israeli composer – his former teacher Mordecai Seter – dared to compose such music before 1955, and his a-capella choral works languished unperformed until Bertini and Rinat took up the challenge and brought them to life. Bertini’s example provided the incentive for the formation of several choirs, inspired by Rinat’s achievements and influenced by the choir’s style and repertoire. The choir soon achieved national and international renown under Bertini’s direction. It won the First Prize in an International Amateur Choir Competition in Paris in 1956; it undertook several tours to Europe (1960, 1965, 1970) and to the USA (1962, including the presidential inauguration of the Kennedy Center, the Ed Sullivan Show, Carnegie Hall, etc). 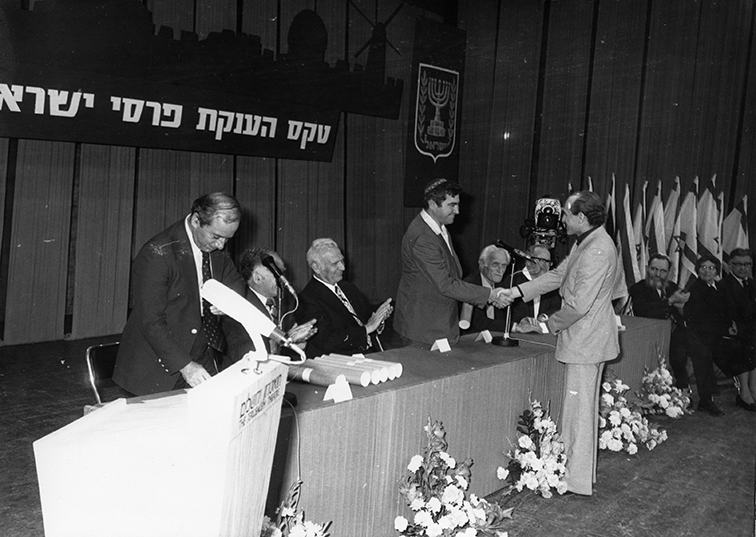 In 1967, Rinat took part in the festive opening ceremonies of the new Knesset in Jerusalem. The same year was the 400th anniversary of the birth of Claudio Monteverdi; the BBC commemorated this occasion by commissioning recordings of Monteverdi’s madrigal books, and declared a competition between the participating choirs. 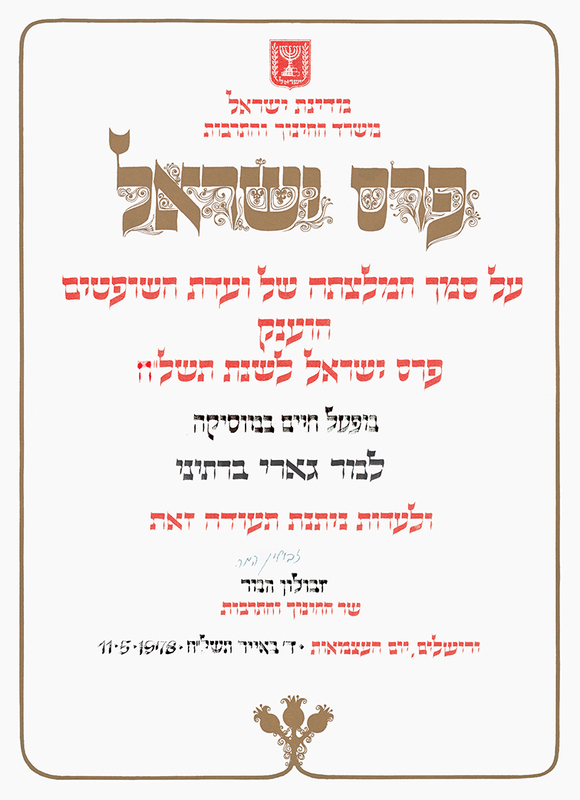 Rinat was chosen to record the Third Book, and this recording was awarded the first prize. 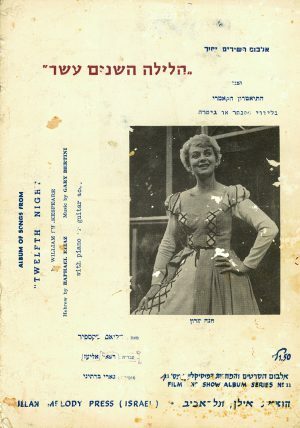 In the mid-1950s, at the request of the Theatre’s founder and director, Sara Levi-Tanai, he became the Music Director of The Inbal Dance Theatre for several years. In this capacity, he commissioned music from prominent Israeli composers, leading to the enrichment of the Israeli dance and concert repertoire alike. The most prominent work to arise from this collaboration was Seter’s music for the dance-theatre piece Midnight Vigil, which eventually became the basis for a large-scale oratorio which is still regarded by many as the masterpiece of Israeli art-music – and of which Bertini had been, until recently, the sole interpreter. 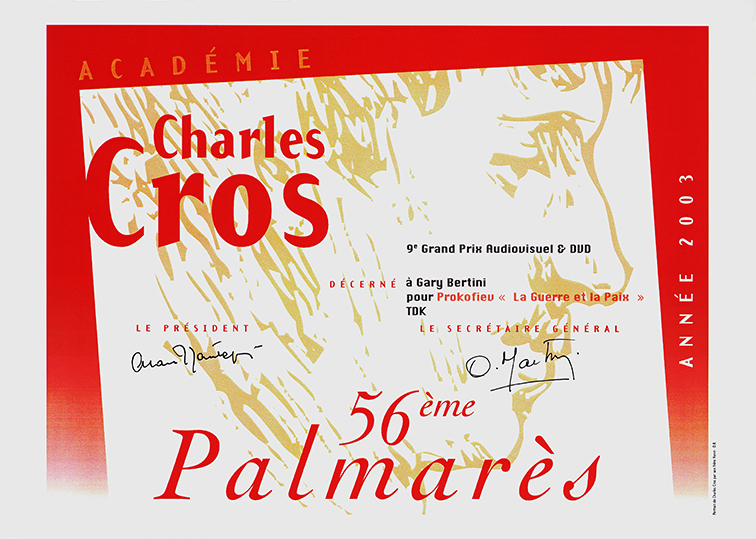 A radiophonic version of this oratorio, conducted by Bertini, received the Prix Italia for original composition for radio in 1962. This is an emblematic illustration of Bertini’s pivotal role in Israeli art-music, which extended well beyond his profound interpretations. A similar illustration can be found in his two other initiatives during the 1960s. In 1960 he created the “Musical Evenings” of The Bathsheva Foundation, which at that time served as the only venue where contemporary music in general, and Israeli art-music in particular, was performed on a regular basis. Seter’s Ricercar (the UNESCO Rostrum of Composers’ selection, Paris, 1961) and Ben-Zion Orgad’s Septet, among others, were premiered in this context. In 1965, he formed the Israel Chamber Ensemble, consisting of a chamber orchestra and a small vocal ensemble, with which he toured Europe and the USA. The Ensemble formed the basis of a Chamber Opera, which opened its first season with Menotti’s The Medium. The production, in which Menotti himself was the stage director, received rave reviews, including an unprecedented editorial in the Israeli daily Haaretz. Avidom’s The Crook (setting a libretto by Ephraim Kishon) was commissioned by the Ensemble, as were several non-operatic works, including Ben-Zion Orgad’s Mizmorim; many other composers wrote for the Ensemble on their own initiative, inspired by the Ensemble’s unique character and superb achievements under Bertini’s leadership. Bertini served as the Ensemble’s artistic director from its inception until 1975. Of the three aspects of the Ensemble – the orchestra, the vocal ensemble and the chamber opera – only the first has survived his departure, forming the present-day Israel Chamber Orchestra. During this time, Bertini also appeared as a guest conductor with the Israel Philharmonic Orchestra. He made his orchestral debut with them in 1955, and also undertook his first tour of the USA and East Asia in 1960. Since then, he had been a guest conductor of the IPO and the Rinat Choir which occasionally joined forces with him in major choral works, including Stravinsky’s Symphony of Psalms, Dallapiccola’s Job, Seter’s Midnight Vigil, Honegger’s Le Roi David, Bloch’s Sacred Service, Ravel’s Daphnis et Chloe and others. Bertini also served as Artistic Director of the Jerusalem Symphony Orchestra IBA and of the New Israeli Opera. Gary Bertini was also active as a composer. He wrote a small number of concert works – notably a Sonata for violin solo and a Concerto for horn, strings and timpani. He was also a prolific composer of music for the theatre, composing incidental music for at least 34 productions between 1955 and 1970, primarily at the ‘Habima’ and ‘Cameri’ Theatres (a comprehensive list can be found in Tom Levi’s article in Michal Zmora-Cohen’s: Gary Bertini in the Musical Cultural Life of Israel), and acting as musical supervisor in several other productions. His scores were generally judged as highly effective, revealing a formidable grasp of a variety of musical styles and idioms, and a keen judgment in tailoring these styles to the dramatic and theatrical requirements of each production. His musical score for Alterman’s Ghost Inn (the Cameri Theatre, 1962) is especially renowned. 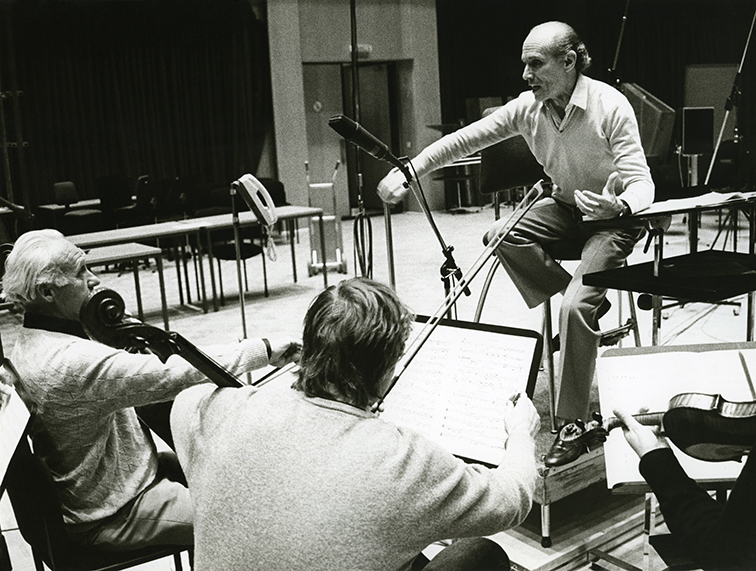 In addition to these principal posts, Bertini appeared as guest conductor at Yehudi Menuhin’s Bath Festival since 1965 (where he presented, inter alia, the first performance outside Israel of Mordecai Seter’s Ricercar, receiving rave reviews); and with the English Chamber Orchestra; the BBC Symphony Orchestra; the Sydney-based ABC Symphony Orchestra; the Danish Radio Symphony Orchestra; Swedish Radio Symphony Orchestra; The Oslo Philharmonic; Stuttgart Symphony Orchestra; Berlin Philharmonic; Residentie Bachorkest; The Hague; Philadelphia Orchestra; Washington Symphony Orchestra; Tokyo Metropolitan Symphony; and others. His final concert – an unforgettable rendition of Mahler’s fifth symphony – was with the Tchaikovsky Big Academic Symphony Orchestra, Moscow, in 2005. He also appeared at several opera houses, among them the Scottish National Opera; Hamburg Staatsoper; Munich Opera; Basel Opera; Geneva Opera; Teatro dell’ opera, Roma (1997); Opera di Genoa; La Scala, Milano; and others. In 1996, he began to appear regularly as a guest conductor at the Opera National de Paris – Bastille; a DVD of Prokofiev’s War and Peace under his direction there won critical acclaim and several awards. In orchestral and operatic contexts alike, he collaborated with some of the finest singers and instrumentalists around the world; this included collaborations with singers like Maureen Forrester, Jessye Norman, Lucia Popp and Dietrich Fischer-Dieskau and instrumentalists like oboist Heinz Holliger, violinist Isaac Stern, cellist Mstislav Rostropovich, and pianists Malcolm Frager, Emanuel Ax and Claudio Arrau, among many others. His repertoire spanned a wide gamut of styles and periods – orchestral, vocal and operas – from the Renaissance to the most recent contemporary music. In orchestral and operatic contexts alike, he collaborated with some of the finest singers and instrumentalists around the world; this included collaborations with singers like Maureen Forrester, Jessye Norman, Lucia Popp and Dietrich Fischer-Dieskau and instrumentalists like oboist Heinz Holliger, violinist Isaac Stern, cellist Mstislav Rostropovich, and pianists Malcolm Frager, Emanuel Ax and Claudio Arrau, among many others. His repertoire spanned a wide gamut of styles and periods – orchestral, vocal and operas – from the Renaissance to the most recent contemporary music. His legacy includes recordings of rare repertoire (including the recording premieres of Kurt Weil’s symphonies, Mahler’s completion of Weber’s Die drei Pintos; and Berndt Alois Zimmermann’s Requiem für einen jungen Dichter), and celebrated, award-wining recordings of Mahler’s complete symphonies (a complete cycle with the WDR-Sinfonieorchester, and a further cycle with the Tokyo MSO, tragically cut short by his untimely death). Another important aspect of Bertini’s global activities is his promotion of Israeli music: Bertini introduced a large number of Israeli works in his worldwide engagements, thereby acting as an ambassador for Israeli’s musical culture throughout the world. Notable examples include the world premieres of several operas by Josef Tal; the premiere of a revised version of Ben-Zion Orgad’s passion The Old Decrees, commissioned by Bertini for a performance and a recording with the WDR-Sinfonieorchester; performances and recordings of Seter’s choral works with the WDR Choir and of Rachel Galinne’s Cycles with the Swedish Radio Symphony Orchestra. We should also note his recordings of Seter’s Midnight Vigil and Mark Kopytman’s Memory. Though made in Israel, these recordings were released on international labels; the recording of Memory won the 1986 Koussevitzky International Recording Award. Overall, Bertini presented over 70 premieres of works by Israeli composers, both in Israel and abroad, not counting repeat performances. Overall, Bertini presented over 70 premieres of works by Israeli composers, both in Israel and abroad, not counting repeat performances. Bertini always regarded Israel as his home, returning frequently to conduct and to teach. In the years 1976-1986, he served as Music Director of the Jerusalem Symphony Orchestra, IBA. During his tenure, he brought the orchestra to a new heights, reflected in the diversity of repertoire and the quality of performance. He also founded the annual ‘Liturgica Festival‘, featuring sacred music from all periods. The orchestra’s home – The Henry Crown Auditorium in Jerusalem – was built after Bertini’s appeal to Teddy Kollek (erstwhile mayor of Jerusalem). In 1987-1997, he served as artistic director of the New Israeli Opera. During his tenure as director – and in his subsequent appearances as guest conductor – he enriched the Opera’s repertoire by introducing several operas which had never been previously performed in Israel. In 1996, he premiered Josef Tal’s opera Joseph, and in 2000 he premiered Gil Shohat’s Alpha and Omega. In 2005, he was scheduled to conduct the world premiere of Josef Bardanashvili’s opera A Journey to the End of the Millennium, and worked intensively on the score in close collaboration with the composer. Tragically, he died shortly before rehearsals began. Gary Bertini died in Israel on the morning of Thursday, March 17, 2005. He is considered the pioneer of Israeli musical life from innumerable aspects, over a span of five decades. He will always be remembered as a warm, humane and broad-minded musician who never yielded to mediocrity – a bequest he handed on to the next generation. The void he has left behind will be felt for years to come. He is mourned by his family, his friends, his pupils and all music lovers in Israel and abroad, who find it difficult to fathom so great a loss. The Gary Bertini Israeli Choir, conducted by Ronen Borshevsky, was founded in order to provide a professional partner for Israel’s leading orchestras, in oratorio and opera performances. Simultaneously, the choir operates a chamber ensemble of 25 professional singers, for the performance of a-capella concerts and other challenging musical works in Israel and abroad. All the singers in this ensemble are experienced musicians, singers, conductors and music teachers. The Israeli Opera inaugurated, on Sunday March 27, 2011, a commemoration corner to Gary Bertini (1927-2005), one of the most important Israeli musicians and conductors, who was the music director of the Israeli opera between the years 1988-1997. Situated at the entrance level of the opera house foyer and close the Founders Corner of the Israeli Opera, the commemoration corner features numerous items from Bertini’s musical life including his baton, scores, photos, program books from productions he conducted at the Israeli Opera and in international opera houses such as La Scala or Paris, CDs in which he conducts leading international orchestras. All these items tell the story of the musical life of Bertini, who also conducted many Israeli Opera productions including the world premiere of Yosef (Yosef Tal) and Alpha and Omega (Gil Shohat). In the inauguration ceremony, which marked the sixth anniversary of Bertini’s death, Hanna Munitz, general director of the Israeli Opera, said: “Gary was a unique musician, a composer and a conductor, maybe the best Israeli conductor ever and one of the greatest in the world. He has left behind him a huge void and a great testimony: to make classical music in general and classical music institutions in particular, the leading cornerstones of Israeli culture. Gary was a real leader, a prophet and an educator, who has nurtured generations of musicians, conductors, singers, choirs and orchestras and of course one of the founders of our opera.” From now on, each person coming to the opera house will be able to see a corner stone dedicated to a musician and a man for whom the Israeli Opera was very dear and who has done all that he could to develop the classical music work in general and operatic work in particular in the State of Israel and bring it to the highest level.